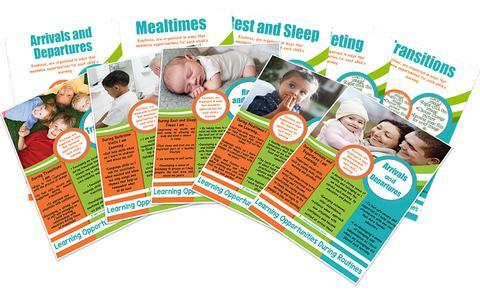 This high quality poster set has a examples of the learning that is taking place during everyday routines. This is a great poster set to display around your Daily Routine or Pattern of the Day for families to see that every moment has a learning opportunity. This set includes a high quality set of posters as well as a set you can add your own images to personalise to suit your own service.